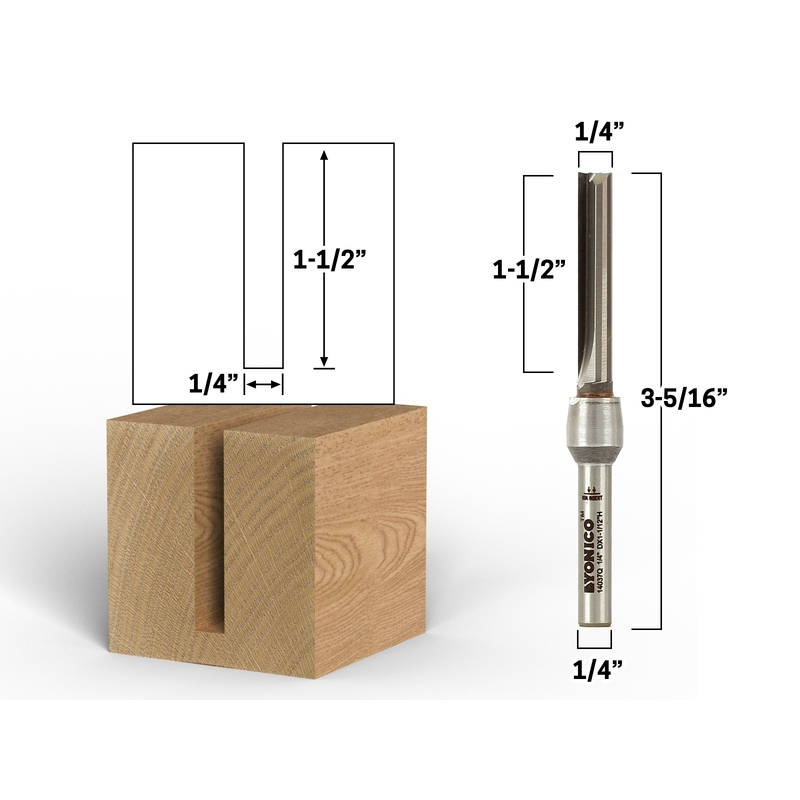 This bit features a cutting diameter of 1/4" and a cutting length of 1-1/2" with an overall length of 3-5/16". The shank is 1/4" in diameter. Solid carbide tipped insert router bits are very durable, versatile and long lasting. The solid carbide insert can be manufactured with very small diameters while still maintaining structural strength. Best for use in detailed applications, inlays and fine grooving. The solid carbide tip is welded into a hardened steel shank.